Home Made DIY Dew Heater Controller. The last couple of observing sessions using the SBT, I have started to notice dew beginning to form on the secondary mirror. So, I started looking at methods to combat it. When I started to look closer at the component parts of dew prevention, I was quite surprised at the how much money is needed to kit myself out. There are 3 main parts to dew prevention. 2. A controller to be able to control temperature. 3. Dew bands or similar to use as the active warming component for the mirror or optics. If I were to purchase all these components, I could potentially be looking at £200 plus for a fairly simple set up. This could easily be increased if I went for a high end controller and dew bands. I couldn't really see an alternative for a power source, so, after seeing one being used in the field by my friend Chris at AstroCamp, I decided to go to Maplin and buy a powertank from there with 2 x 12v cigarette lighter outputs. Luckily, when I went to the store to look for one, they were on sale with £20 off the normal price. Part 1 done! Next, I needed to start looking at a controller. I spent quite a few evenings researching the different options. I came across numerous websites selling all different types of controllers. And then I started looking more at people’s websites who had taken the step to make their own. Some of the designs and ideas were simply brilliant, and were built by people who obviously had a really good knowledge of electronics. The idea was planted and the more I thought about it, the more I thought I could give it a go. It is at this point I have to give more than a hat tip to this website. The author was extremely generous is putting his thoughts and designs on line for others to follow. I decided to base my project on his work. I sourced most of my components from RS components online, and they deliver next day for free! These are the steps I took to building my controller. 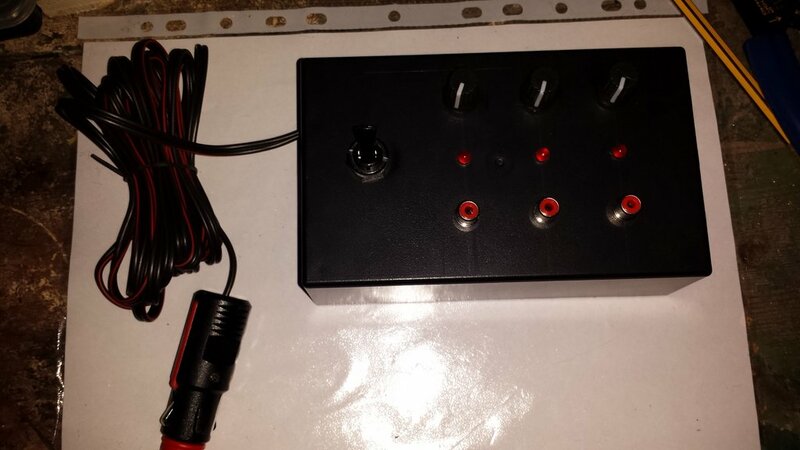 · I ordered 4 of these PWM’s (Pulse Width Modulators) from Amazon. 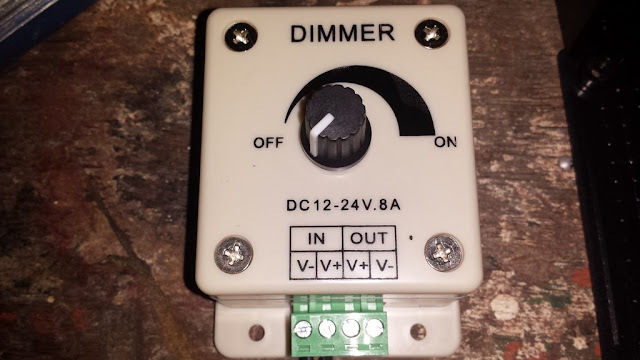 They are actually sold as LED dimmers, but they carry the rating that I needed to build my controller. I only intended using 3 PWM’s in the controller, but for the price (less than £5 each) I thought I could have one spare and use it as a test device for later projects. · The PWM’s would provide me with a quick and easy method of adjusting the current being delivered by the controller, and ultimately perform the temperature control for the dew bands. To get access to the parts that I needed to use, I removed the screws from the 4 corners of the PWM and removed the controller knob. 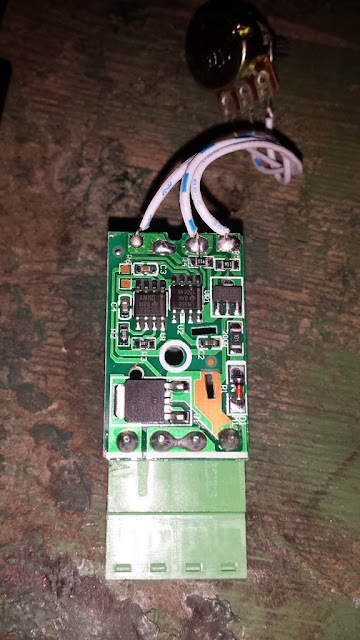 · Once opened up, I could see a small circuit board. I just needed to remove a small retaining screw to free it up from the housing. · Turning the small circuit board over, you can see its component parts. One of them being a 555 timer. The last time I used one of these was in secondary school! 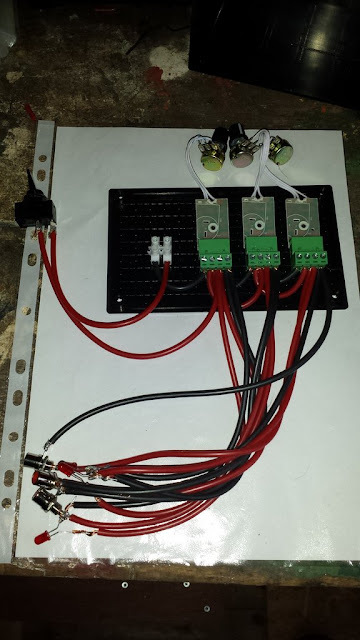 · I did come across plans on line that showed how to make one of these devices from scratch. Maybe one day, I will make my own, but for the moment, it’s easier to buy them like this. Next thing I needed to think about was some sort of container to house all the components. I started looking for a project box that would be large enough to keep everything dry, but small enough not to get in the way or be too bulky. I went for this box measuring 157mm x 95mm x 53mm. 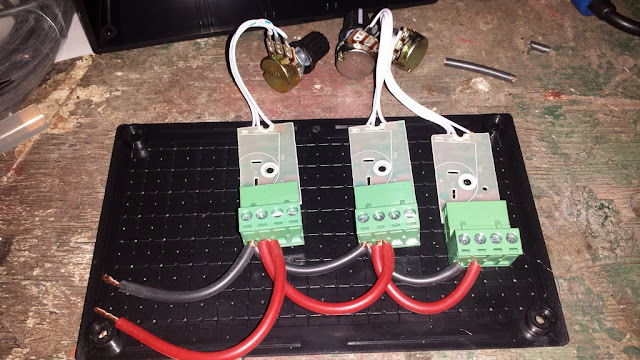 · Now I had a base to work off, I started to decide where to put the components for the controller. I needed to make sure that I had room for 3 PWM’s, 3 LED’s, 3 female RCA plugs and master switch, connector block. I was glad that I didn’t get a smaller box because it soon became evident that it was going to be just enough room to fit everything in. Using a hot glue gun, I glued the first controller into place on the base of the project box. · Next stage was to start connecting the PWM’s together using the screw down terminals attached to them. 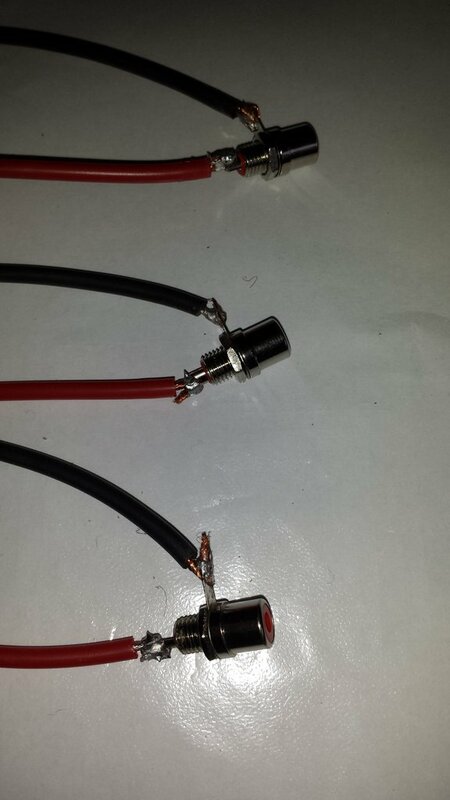 · Now, for the first time in over 20 years, it was time to break out the soldering iron. I put the work I had completed so far to one side and started to put together some of the other components. 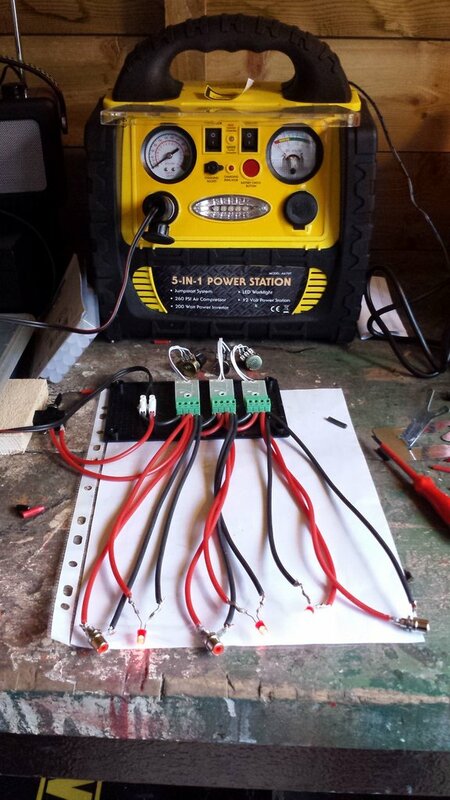 I started with 3 x 12v red LEDs and soldered red and black (+ and -) cable to each of them. I needed to make sure that the cables were long enough to allow the LED to be mounted on the project box and allow me to connect them up with ease, but short enough not to end up with a project box full of excess cables. The purpose of the LED for each channel is to give me an easy visual sign when observing, of how much power is being sent to the dew band. Quite simply, the brighter the LED, the more is being sent to the dew band, and in theory, the warmer it is. · You can see that my soldering skills haven’t really improved in 20 years, but at the end of the day, the connection was good and there was no movement in the join. I took the opportunity to use the 4th controller, and connect it to the power tank giving me a quick proof of concept that the idea was working. Using the 4th controller, I could control the brightness of an LED. I repeated the soldering process with 3 female RCA connections which would be used to attach any dew bands to the controller. 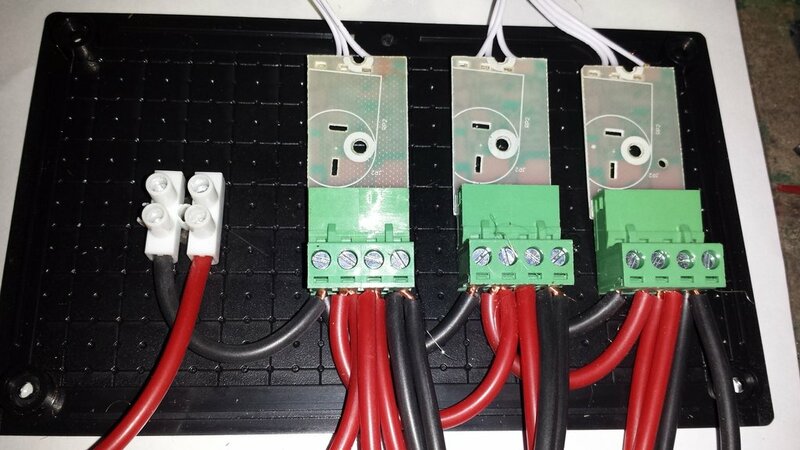 · Next came the master switch that would cut power to all 3 PWM’s when not in use. I had considered putting in individual switches for each of the 3 channels, but from testing the output on the PWM’s with a meter, I could see that when the controller knob was turned to the minimum position, there was no current coming through the connections, so there was no real point in adding them. The master switch is a simple on/off lever switch. 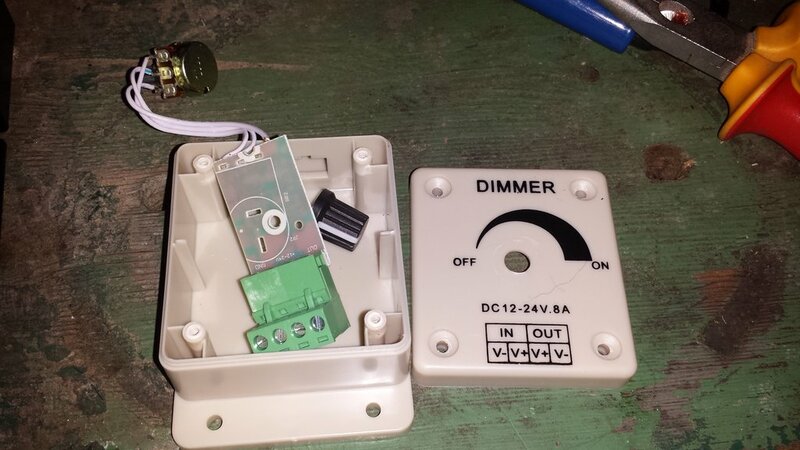 In hindsight, if I were to build one of these again, I would get a rocker switch instead so it would stick out so far from the surface of the project box. · The soldering over and done with, it was time to start attaching it all together. 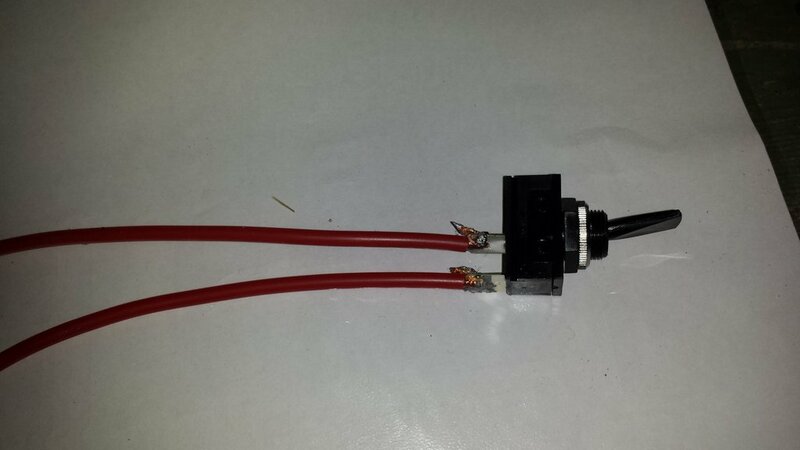 Using the hot glue gun, I attached the remaining 2 PWM’s and a connector block to the base, and then attached all the cables together. All these connections were done using the connector blocks attached to the PWM’s. 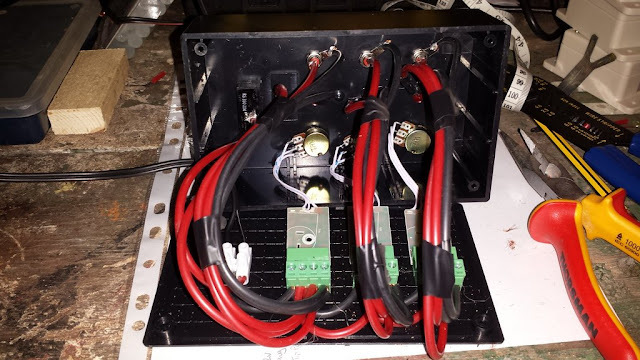 · Before I started to think about packing everything into the project box, I wanted to check everything worked, that the LEDs were lighting up accordingly, and that I was getting a power output from the RCA sockets. 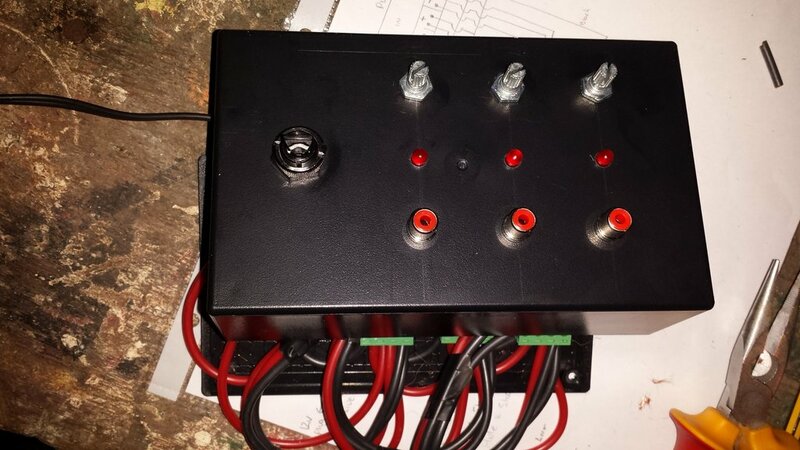 I attached the 12v cigarette lighter power supply to the connector block, switched the circuit off at the master switch, and plugged the controller into the power tank. I was very pleased to see that everything worked as expected first time. 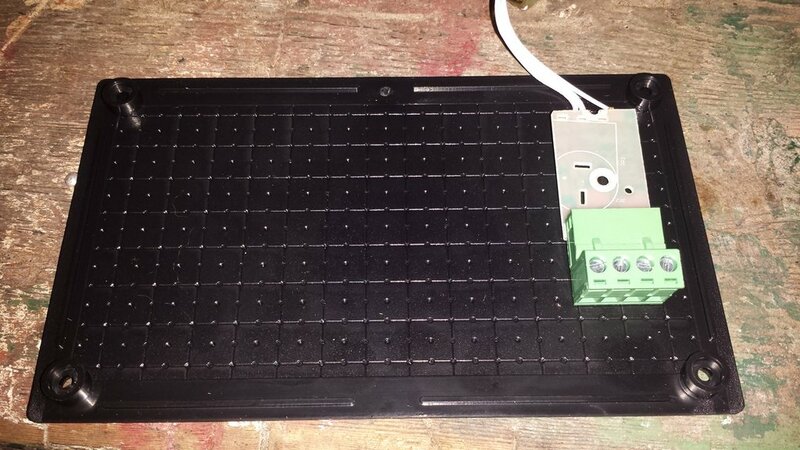 Below, you can just see that all the LEDs are illuminated, and the circuit works. · I was now happy that everything worked as expected. 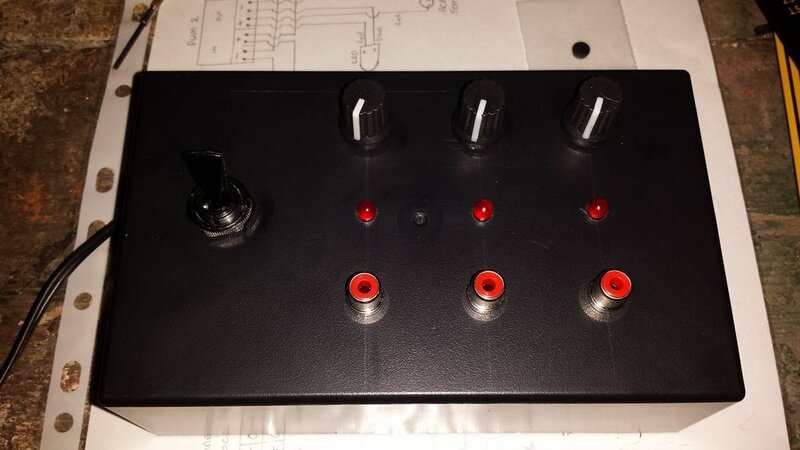 It was time to turn my attentions to mounting the controller knobs, LEDs, RCA sockets and master switch on the project box. I marked out on the box where I wanted to present each of the external facing components. I measured each of the components that would need to be pushed through holes as best I could. I don’t have a set of calipers to get an accurate measurement, so I started with a smaller hole for each component, and with trial and error, used the pillar drill to form the correct size hole. Then, I just drilled the holes as required. · Now, it was time to start mounting everything into the final positions. 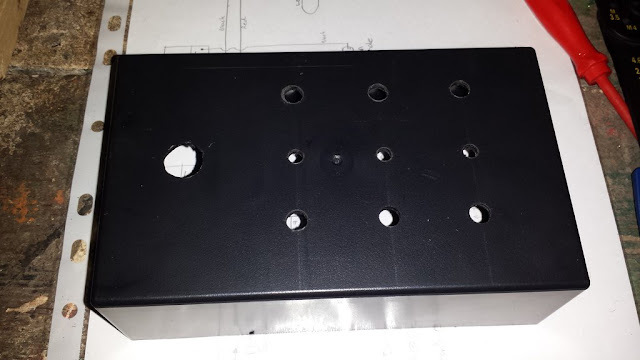 I needed to disconnect some of the components so I could thread them through the drilled holes. 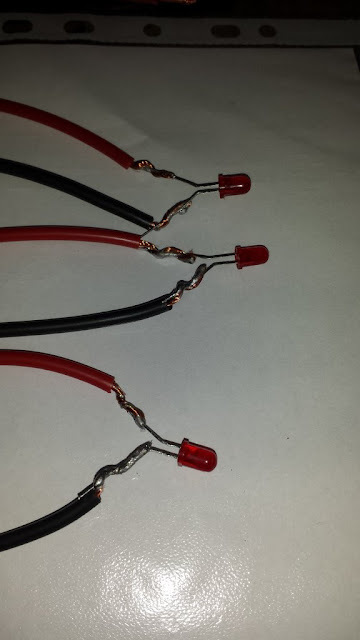 After I reconnected them, I just used some insulation tape to hold together each batch of wires, just to keep them neat. I used the hot glue gun to glue the red LED’s into place inside the project box. 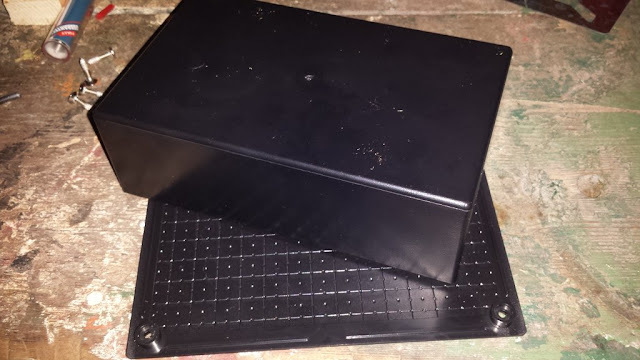 · Finally, it was time to gently pack away the cable and shut the box up. The underside of the box has 4 screw holes and small screws to seal it all up. Once it was all sealed, I connected it up to the power tank and give everything one last test. All tests passed, the dew controller is now ready for use. That’s part 2 completed! · Finally, part 3. The dew bands. I haven’t really done much with these yet, although I have decided to try a resistor ladder design of dew band as opposed to a nichrome wire dew band. I still have some components to buy for my first attempt at making one. I’ll add to the page and blog with how I get on. Looks great. What vender did you get the PWM from? Thanks Wayne. I got them from Amazon, although I think they were sent over from China. Cheers.